Infographics are one of a few effective ways to get your message across in the field of education — from presenting lessons in the classroom to homework and essays to presenting data for your college research. Here at Easelly, we have a bunch of different templates to fit any occasion. Scroll down for some examples made by students and teachers alike! For a start, this infographic has a great background. The warm color gives off a friendly feeling and having it as a gradient makes sure it isn’t just a dull field of pixels. It lays out its key points simply and also makes the text stand out nicely, with the black on the lighter side and a contrasting blue on the other. Accenting relations between segments by changing the shade of the basic color was a nice idea here. It gives an overall smooth feeling and keeps the viewers focused on the information, while the links are easy to follow. Having a motivational quote as the finish is a good way to make it more memorable. This one is very clean and just lively enough. Red and orange are a nice contrast to the neutral background and the purple keeps them in balance. The diagram here is simple and easy to remember, and the white text is a clever choice since it’s more visible against all the other colors and helps keep the bright atmosphere. This piece is really appealing! The snaky road gives it a consistent flow, the information is concise, and the colors of the segments are a perfect contrast to the relaxing green background. Also, the stick-figures add a sense of dynamics and round out the whole thing. The colors blue and yellow go well together. This combination makes the infographic stand out as bright, cheerful and friendly against the neutral background. Using black for emphasizing things to remember makes them look more serious and helps them stick to the memory. Red is a great way to highlight the key points. Everything looks neat and clutter-free! This is another great example of using colors to highlight the important things, and using icons makes it tidy and more effective. Graphs are a great way to present lots of data without drowning in clutter. The data are presented well in this infographic, and the colors make for clear differences without clashing with the background. Dividing the page into rectangular sections gives an impression of good organization and splits up the info into smaller, digestible chunks. 8. How Much Time is Spent on Testing? Here’s a great example of how to be concise without skipping anything. The main question stands out right away and there’s a short explanation along with an icon that’s a good association and can help people remember it. The answer is given in a short and clear form complete with an attention-grabbing visualization. Having the conclusion as a question invites us to look deeper into the topic. This infographic has a nice play of elements. Mixing a circle display with column lists strikes a balance between a dynamic feeling and a serious tone. The color scheme is easy on the eye, and notice how black text works better than white here compared to the similar above example. 10. Finally, this infographic takes on a minimalistic approach. The calm color scheme makes it easier to focus on the presented information; the icons are a nice way to seize attention and the opposition between the two-page segments is accented just enough by the contrasting icon colors. Adding an illustration-concept association (livestock vs. explorer) along with keywords is an effective finish. You can find all of these stunning infographic samples and many other templates at the Easelly infographic library. You can also create your own by using our free infographic maker! 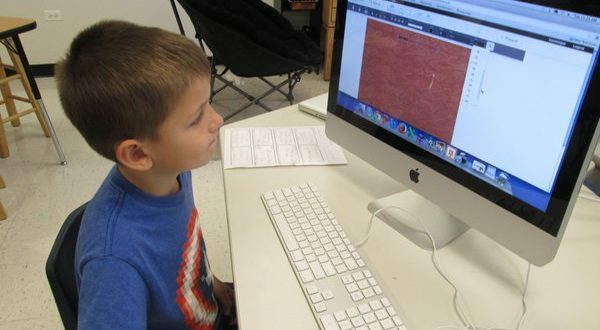 Taking advantage of visual learning and using modern technology in the classroom yield better results than just hunching over a plain old textbook. We hope both teachers and students continue to have fun and learn new things by trying out infographics today! Think customer support, think ‘people behind the product’ and you’ll come to the conclusion that Easel.ly is the best infographic platform on the market today! 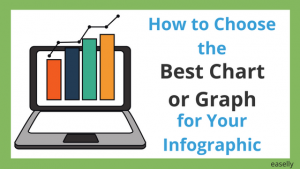 Looking to make your first infographic? Read this guide for clear, actionable steps in creating infographics from scratch (design experience not required! ).